Baptize It: I believe one of the things the church has done far too often is to take things from theworld and incorporate them into the church culture from the postmodern world and place it underthe banner of relevance. We need to realize that relevance is basically knowing the needs of thepeople in our ministries and how to meet them in a real and tangible way. Jesus did this so well.As He spoke to the crowds, He would tailor His message to meet the needs of the audience. Wemust do the same. It is okay to incorporate music, video, and other media to reach thisgeneration, but we need to influence the world not the other way around. Demonize It: In my opinion, this is the most damaging reaction the church has had topostmodernism. I think this comes from fear and misunderstanding. As a human race, when wecome up against something that is confusing or fearful, we tend to reject or criticize it. I was at aconcert in rural Kentucky. This was a very conservative, Bluegrass culture. The event wasactually a youth event to help students understand what they believe and why. The band cameout on stage and began to play. The band was your typical youth-style rock band. Most of thekids were excited and the crowd was electric. But five minutes into the show, 75 people got upand left. They thought that music of this nature should not be played at this type of event. Weneed to teach our students how to be critical thinkers. We need to understand the culture in whichwe live and rise to meet them with the gospel message.Ignore it: I used to be this way when it came to conflict. If I had a problem with someone,instead of trying to work it out, I would ignore it. This only made things worse. Things weretaken out of context, feelings were hurt, and there was a constant tension until one of us took theinitiative to resolve the issue. I believe the same thing is happening in the church. Many adultsare fearful or confused about what is happening in youth culture. Instead of taking the time to dosome research, they just clam up and choose to ignore it. We need adults, pastors, teachers, andparents to rise up and engage this culture. We need to issue the battle cry and lead the charge toreach a generation who desperately needs us. Understand the “impact” of true intimacy with Christ. Discover that our identity is determined by the “point of impact” with Christ. Realize that our Perspective will directly affect our Impact. Grasp that our Attitude can greatly affect the intensity and effectiveness of our Impact. Develop a desire to leave traces of this “impact” for other to follow. If you would like to purchase the book, you can order it from Barnes and Nobles and Lucid Books. Randy’s heartbeat is to relay Biblical Truth to a generation seeking relevant Christianity in today’s world. With a culturally relevant style, Randy shows the importance of understanding God’s Word so that we may show God’s love to an unbelieving world. 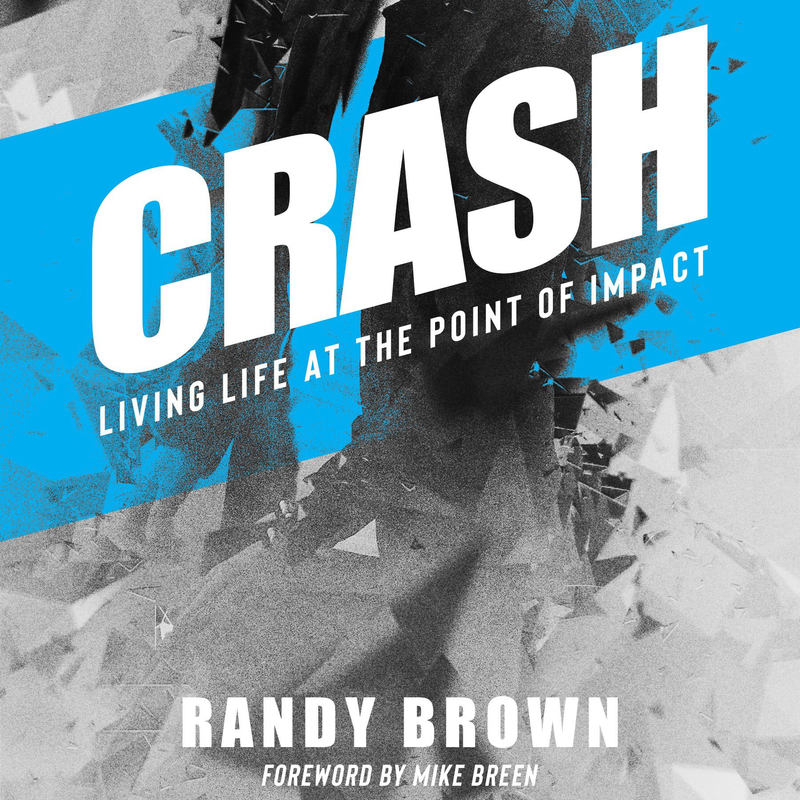 When the Bible seems complex to understand, Randy shares real-life examples to teach teenagers, parents, and youth leaders how to focus on Jesus, and show Christ-like love to everyone around them in to live “Life at the Point of Impact”! 4.) The importance of understanding the “Whole” Gospel and living it out. 5.) The Importance of Missional Living. A veteran Youth Pastor of 29 years, Randy brings life to the Scripture in such a way that every person attending your event senses his deep desire to live life together. The community he desires to build with your students and leaders is rivaled only by his heart for delivering God’s message. Randy’s heartbeat is investing his life in the hearts and minds of junior high, high school and college students, but there is no doubt his ability to communicate with parents and youth leaders is equally effective. Randy also serves local churches by offering one-on-one consulting to help them develop or refine a Missional Focus as an integral part of their Student Ministry. These consulting sessions are tailor made to meet the needs of each individual church. Some churches may only need a couple of hours of training while others may want to take advantage of a yearlong partnership to get their ministry headed in a missional direction. I am currently Booking Speaking Engagements for the Crash Book Tour. I still have dates available for Winter 2018 and Spring and Summer 2019!!! If you would like me to come and speak and your school, your church, camp, retreat or business, please send me a PM and I can get you added to my Speaking Calendar!!! Here is all the info on my Upcoming Book!!! 2017 was the most challenging and painful years of my life. From exposing deep hidden pain caused over many years to loosing my wife and best friend, my prayer during this painful season was that God would use these events to make me Different. I am not the same man I was in 2017. I am radically different. This song paints a perfect picture of what God has done in my lfe over the past year. If you are going through a difficult season, let the message of this song wash over you and may you forever be Different because of what God is doing in your life. Below are the lyrics for this song. Take some time today and meditate on what they mean for you and your life!!! Check out this great article on how to deepen your faith. What do you think??? Are you looking for that perfect Game to tie your Mid-Week Service together??? Are you long for you next Message Series idea? If you value resources like I do, then check out this new Youth Ministry Resource Website!! !